Survivor is back baby! 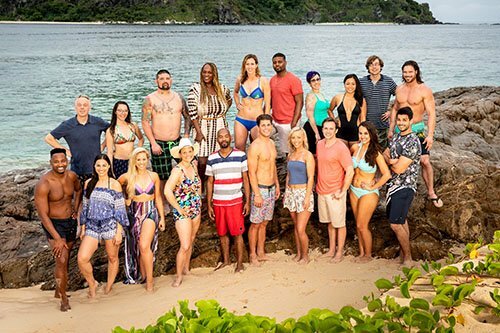 CBS has finally unveiled the 20 new contestants that will compete on the show’s 37th (!!!) Season, called “Survivor: David vs. Goliath.” The 90-minute premiere episode is just three weeks away, on Wednesday, Sept 26th at 8 pm (EST), and I’m more excited than ever! It’s true: Whether you are a casual fan of the show or a die-hard fan like me, you must admit that Survivor is still the best thing going when it comes to competition-based Reality TV. A “bad” season of Survivor is still better than almost anything else on TV because the format of the show is simply untouchable. It always feels like Christmas when a new season of Survivor comes closer, and trying to figure out where this season will rank if all part of the pre-season fun. Will the theme of “David vs. Goliath” be a giant-sized bust? Will it rank among the all-time great seasons? Or is it destined to fall somewhere in the middle, another “ho-hum” season of TV’s greatest show? We’ll soon find out! But as we patiently await its official return on Sept 26th, let’s take a look at everything we know about the upcoming season, including just who will be throwing their names into the hat for their chance to win a million dollars, and the title of Sole Survivor. As I begin every season, I like to identify myself to those who may be asking: Just who the hell is this Tom guy anyways? Well, I’m many things, but one of those things is that I’m a big, giant, nerdy fan of the show. I have been since Day One, Episode One of Season One, and I’ve been living the dream of being able to cover this show professionally since Season 20 (“Heroes vs. Villains“). I love the energy and the excitement of the fans on this site and I look forward to another great season (hopefully, right?). Let’s make this a fun and interactive place to land each week, and feel free to leave your questions and comments on the articles as I read them all and usually will respond as well! If you are wanting to know just where my Survivor tastes may lie, you can look at my most recent rankings right here: Here’s my “All-Time Survivor Winners” List, as well as my updated “Most Memorable Seasons” List (great idea Tom, get the people all worked up right off the top of the season…). With Season 37, we are entering into new territory for the show. 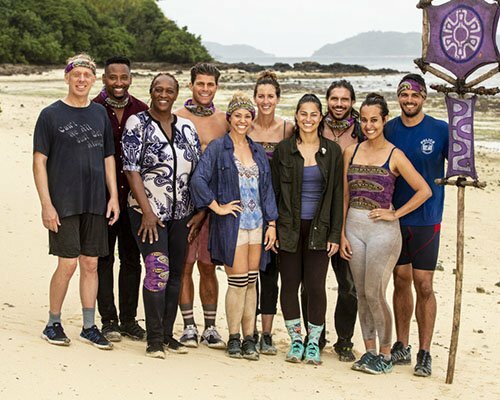 Yes, Survivor is still winning its time slot each and every week, but it is one of the last seasons that will feature a cast picked by long-time Survivor casting director, Lynne Spillman, who was “let go” from CBS this past Summer. She’s been a staple of the show from the very beginning, so for the past 18 years she has played a major part as to which contestants have appeared on the show. Some rumors have circulated stating that she was let go due to the poor casting on this, Season 37, as well as the upcoming Season 38, but there’s nothing to back-up those claims, and I for one feel like that’s unlikely the only reason, if it’s a factor at all. Add to this, that there have already been cast members behaving badly this past Summer (I won’t ruin anything here, but go look it up if you would like to), allegedly breaking their confidentiality agreement with CBS as well as another cast member having racist tweets dug up. And you thought there was only drama in front of the camera? Regardless of what is going on outside of the game and what consequences these stories will have for the future of the show, let’s get to what we know is going to happen INSIDE of this season. The “David vs. Goliath” twist is mainly an “underdog” theme, where the “Davids” all have characteristics of those that have not been handed anything by life and have had to work through tons of diversity, and the “Goliaths” are those that on the surface at least, appear to have been blessed with God-given abilities and advantages in life. Usually the theme of Survivor flickers out after a few weeks (although this is not always true), so it is usually a hook used to get people interested in the new season. Does this theme appeal to any of you? I’m truly curious. If you want to hear from Jeff Probst himself (!) as well as my thoughts on this cast, look no further than the FilmSurvivor Podcast…this podcast is where you will also be able to hear my weekly Exit Interviews this season with the cast-mates that are voted out each week. You can subscribe to The FilmSurvivor Podcast on iTunes as well as on Podbean, and be sure to follow me on Twitter (@tomsantilli) as this is the best way to find my content. Full disclosure, I’m also a Rotten-Tomatoes-approved film critic and TV personality in Metro-Detroit, so you can find all my movie-related stuff there as well. 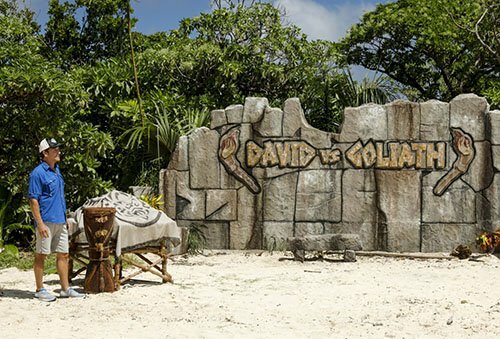 So what else do we know about Survivor: David vs. Goliath as we head into the premiere? 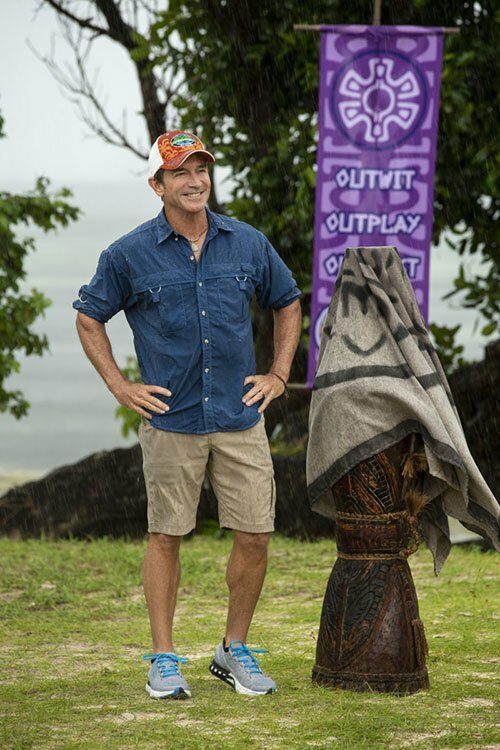 Well, we have also recently learned that there will be one new major twist this season, referred to as an “Idol Nullifyer.” This is a twist that will allow a contestant to anonymously cast an Idol Nullifying vote that if cast correctly, will cancel out a hidden Immunity Idol during Tribal. So think of it like this: A person with this power would secretly cast this while casting their normal vote at Tribal. It only works on the person who ends up gaining Immunity from the use of a hidden Immunity Idol, not the person who actually plays the Idol…so if Player A uses their hidden Idol on Player B, Player C would have to have played their Nullifyer on Player B in order for their power to work. If a Nullifyer is played but no Idol is played, then the power is lost. Because it is cast anonymously, only the person who casts it (plus anyone they may tell about it) will know who played it or where it came from. An interesting twist? Or too much? We shall find out officially on Wednesday, September 26th, with a 90-minute Premiere, beginning at 8 pm on CBS! What You Can Expect This Season: Each week, look for my Recap right here on Reality Tea, following each episode (up usually late Wednesday night or by Thursday morning). Then every Thursday, you can get more of my thoughts as well as listen to my exclusive exit interview with the voted-out contestant on my FilmSurvivor Podcast…the link and excerpts of which will be available right here on this site as well. So look for my Recap following Wednesday’s Premiere and then my Podcast with Exit Interview up on Thursday! Is Chelsea Meissner Dating Fellow Survivor Alum Nick Dana?